Biofouling — the accumulation of algae and micro-organisms on ship hulls, fishery nets and other surfaces submerged in water — is a global multibillion dollar problem. Anti-fouling solutions exist, but with varying degrees of efficacy. These solutions are often costly, require frequent reapplication and contain heavy metals that leach into the environment. Toronto company Sylleta is about to disrupt the anti-fouling landscape with its new solution: a cost-effective and biologically safe anti-fouling coating. In economics alone Sylleta overshadows its competitors with a cheaper or comparably priced product, as well as a reduction of 25% in ongoing maintenance fees. However, the environmental safety of Sylleta’s anti-fouling coating is what really blows the competition out of the water. Sylleta’s product is so safe that CEO Nikhil Gunari drank a sample of it during a recent pitch, daring his competitors to follow suit with their own products. To date, Sylleta’s coating has been proven safe for both humans and fish, and toxicology testing on smaller marine organisms is planned for this year, making aquaculture a great first industry for Sylleta. Aquaculture has grown rapidly, quadrupling output in the last 40 years according to the National Oceanic and Atmospheric Administration. As a result, farm nets become completely covered with micro-organisms, preventing water and oxygen from naturally flowing through the nets, which adversely affects the health of the fish. Replacing and cleaning the nets are expensive processes and disrupt normal farming practices. There are also adverse environmental effects with the active compounds used in conventional coatings. Sylleta’s anti-fouling coating provides a great solution for aquaculture companies and is quickly gaining traction. Fisheries exist all over the world, with Chile being the single largest market. In order to help unlock this market, Sylleta applied and was chosen to participate in Start-Up Chile. The company received $40,000, which was used for product testing, small field trials and toxicology testing. Sylleta went on to win the seventh annual Start-Up Chile Demo Day, fascinating an esteemed panel and room full of judges with its technology and business. The company is currently pursuing funding for full-scale field trials in Chile, as well as funding to commercialize globally. I sat down with Nikhil while he was in Toronto to talk about his Start-Up Chile experience. MaRS: Can you elaborate on the Start-Up Chile experience? How important were the connections, support and opportunities offered through the program, especially considering that Chile was a key market for you? Nikhil: Start-Up Chile is a phenomenal platform for young entrepreneurs who want to access the Latin American market. Not only did the program provide $40,000 of equity-free cash, but it also provided a good business network. 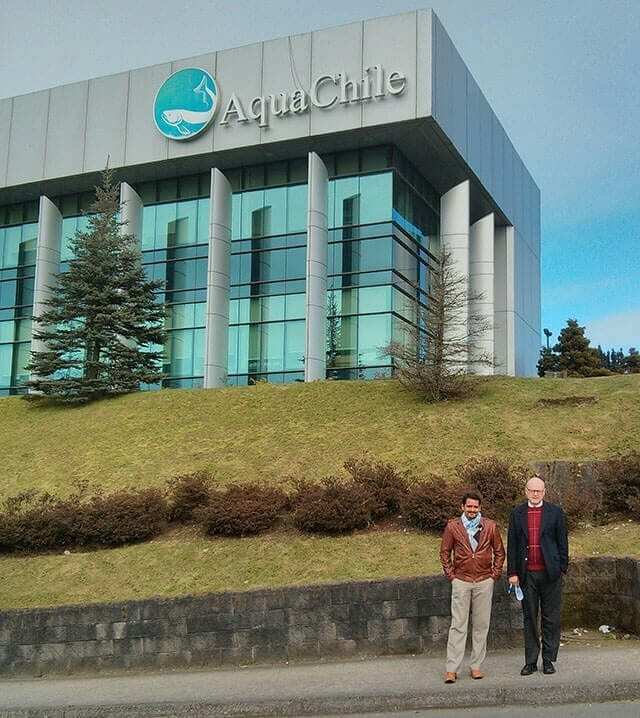 The Chilean salmon industry is the second largest market for us, and the program gave us the opportunities to interact and successfully test our products with potential customers. We also had the opportunity to interact directly with the regulatory agency, enabling us to better understand the process and to start selling our products as soon as possible. The experience in Chile was a game changer. MaRS: There are multiple entry markets that you could have gone after. What made you choose aquaculture over, say, shipping? Nikhil: Even though the shipping industry is the biggest market for Sylleta, we chose to pursue the niche aquaculture market due to timeline and geographical factors. 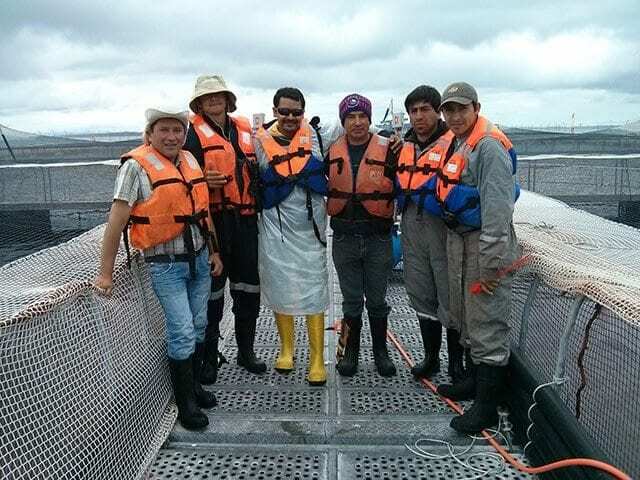 It can take three to five years of field testing in the shipping industry, compared to six months of testing in the aquaculture industry. Also, in Canada, the aquaculture industry is more significant than the shipping industry. MaRS: I understand this technology came out of academia. Do you still have a relationship with the University of Toronto and what role does the school play with the company now? Nikhil: Yes, the technology was developed in Professor Gilbert Walker’s lab at the University of Toronto. We still have a relationship with the university. Last year we received a Natural Sciences and Engineering Research Council of Canada Collaborative Research and Development Grant, and we are working on improving the technology. MaRS: What are the top three things you wish you knew five to 10 years ago?